I love that Hypnobabies taught me how to stay positive, calm and collected because this last pregnancy was full of surprises! I am a lovely Lovenox momma due to the risk of clotting, had to change my diet for gestational diabetes (which was actually super easy and manageable), and I ended up being induced because of cholestasis at 37 weeks. Hypnobabies taught me how to listen to my body and advocate for myself. I listened and shared with my doctor my concerns on a Tuesday (I was intensely itchy everywhere! 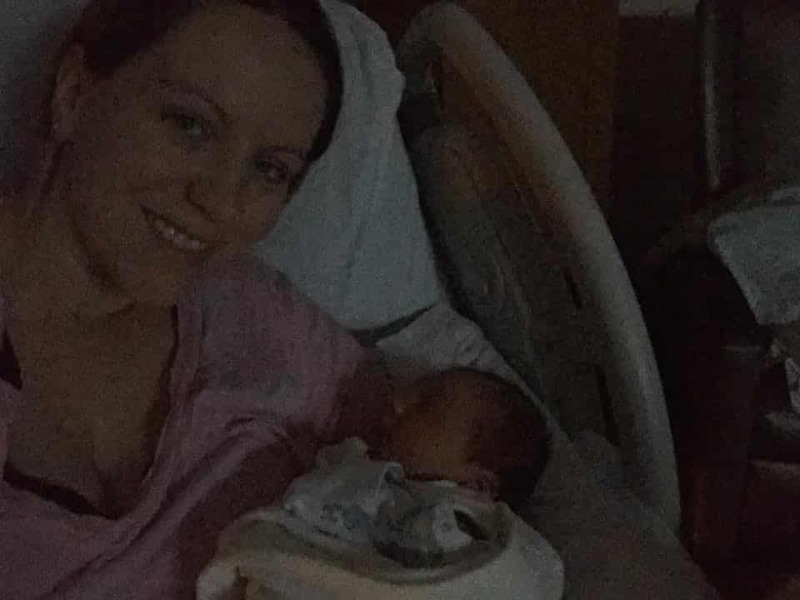 ), and on Thursday morning they called me unexpectedly and told me to come up to the hospital to get ready to have our son due to the fact I was positive for cholestasis. If you’re unaware, this is a pregnancy situation that makes it high risk for baby, plus my other factors. I was so unprepared I didn’t even have my Hypnobabies birthing tracks on my phone yet! I calmly sent my kindergartener to school, packed my bag and got my tracks onto my phone. Called my hubby and headed up to the hospital that’s about a half an hour away. I wasn’t frazzled, upset or anxious!!! Once I arrived they got me all prepped and were commenting on how calm I was. I knew I would have an easy and relaxing birthing time (Hypnobabies word for labor)! I was actually already 4cm when I checked in around lunch time, which surprised me. My hubby arrived around 2 pm, I was given Pitocin and things were going super smooth. I was so comfortable with my headphones listening to my hypnosis tracks (Easy First Stage which is Hypnobabies main birthing day track, Deepening to deepen hypnosis and Birthing DayAffirmations), I just relaxed in bed. Eventually I decided to sit on the toilet (dialation station, am I right? Haha). We were joking with the nurses at about 6:40 pm that we’d better have this baby before shift change. I realized that I better hop off the potty because I felt the need to push, and at 6:57 our son was born! Our Dr almost missed catching him. And NO stitches this time! Which seriously makes for a super easy recovery. Amazingly perfect size and incredibly healthy. Levi Russell! Be encouraged mommas, Hypnobabies will keep you calm and collected through any twists and turns!